ORLANDO, Fla. (July 31, 2015) – Harbor House of Central Florida has received a grant from The Allstate Foundation – through the Florida Coalition Against Domestic Violence (FCADV) – to implement a one-of-a-kind program supporting financial empowerment services for domestic violence survivors. Since 2010, Harbor House has implemented this program through its community outreach efforts and within its emergency shelter. Harbor House advocates are trained in facilitating The Allstate Foundation financial empowerment curriculum within support groups and individual case management through the organization’s community outreach, emergency shelter and community-based housing programs. In addition to the program’s financial empowerment component, survivors are also provided information about job readiness and resume writing, as well as taken through mock interviews and how to create a financial plan. Four hundred survivors in Orange County are projected to participate in The Allstate Foundation program. As of June 2015, 84 percent of that outcome was achieved with 336 survivors served. Allstate will also provide additional year-round support by conducting quarterly donation drives, which will continue to empower survivors to regain control of their lives. Beginning August 1, local Allstate offices will collect backpacks, new clothes and sneakers for youth in a back-to-school drive. 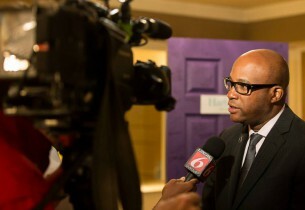 To learn more about Harbor House of Central Florida or how to get involved, visit harborhousefl.com. If you or someone you know could be experiencing domestic abuse, contact the 24-hour confidential hotline to speak with a trained advocate at 407-886-2856 or download the R3 app to any smartphone. Harbor House of Central Florida is Orange County’s only state-certified domestic violence center and provides safe shelter, a 24-hour crisis hotline, counseling, legal advocacy and justice for thousands of domestic violence survivors and their children each year. Harbor House helps survivors return to the community—connecting them to resources that will enable them to live independently, safely and peacefully. For more information, please visit harborhousefl.com. Follow us on social media through Facebook at Harbor House of Central Florida, Twitter @HarborHouseFL, and YouTube and Instagram @harborhousefl. Established in 1952, The Allstate Foundation is an independent, charitable organization made possibly by subsidiaries of The Allstate Corporation (NYSE: ALL). Through partnerships with nonprofit organizations across the country, The Allstate Foundation brings the relationships, reputation and resources of Allstate to support innovative and lasting solutions that enhance people’s well-being and prosperity. With a focus on teen safe driving and building financial independence for domestic violence survivors, The Allstate Foundation also promotes safe and vital communities; tolerance, inclusion, and diversity; and economic empowerment. For more information, visit AllstateFoundation.org.